Sometimes also called ‘caps’ a crown is a protective covering placed over a tooth and held in place by dental adhesive or cement. They’re often used to provide a permanent restoration for teeth which have been fractured, or suffered from large areas of decay. They can also be used to correct minor problems in natural teeth, such as poor spacing, irregular shape or even discolouration. 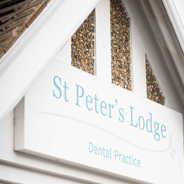 Here at St Peter’s Lodge we’re always keen to make sure patients get the treatment that best suits their needs. We offer crowns in a variety of materials, including plastic, ceramics – sometimes called porcelain – and metal alloys. 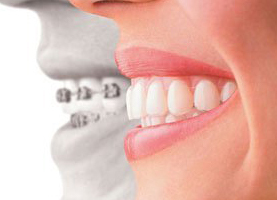 A combination of metal and ceramic is also possible to maximise strength and simulate the appearance of natural teeth. The crowns we fit are individually crafted to fit the specific requirements of each patient who needs this form of dental work. 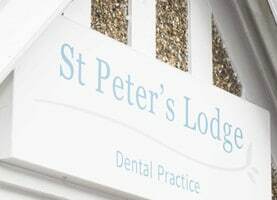 At your first appointment with us, your dentist will carry out a thorough clinical examination, with radiographs (x-rays) to help us assess your suitability for the crown. We’ll also carry out any preparatory work which may be necessary at this stage. Finally, you’ll have the chance to talk through your material choices, make sure you understand how the treatment will be carried out, and discuss any other concerns you may have. At your second appointment, the teeth to be crowned are prepared. Your dentist will trim down the tooth size to create space for the crown (you’ll be given a local anaesthetic for this), then they’ll take an impression or mould of the prepared tooth. The mould is then sent to a laboratory where skilled technicians will fabricate the crown. In the meantime, you’ll be fitted with a temporary crown. 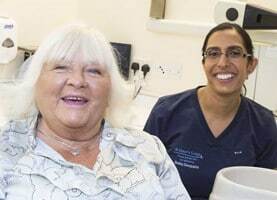 However, we also offer cerec crowns where there is no need for impressions or temporaries and the crown can be made on site and fitted in that appointment if you choose this option. Please see the cerec page for more information. You’ll be fitted with your permanent crown on your third appointment. The temporary crown is removed and the tooth surfaces are cleaned ready for your final fitting. Before it’s cemented in place, the completed crown is tried on the tooth. Your dentist will be checking to make sure the fit is correct, your bite is comfortable, and, of course, that the appearance is absolutely perfect. Finally, the crown is fixed onto the prepared tooth with dental cement. Your crown will be made from durable, inert materials that won’t deteriorate over time. You will, of course, still have an underlying tooth. Like any other tooth, this could be prone to decay and gum disease. Daily brushing and flossing are essential for maintaining good oral health as well as keeping the crown trouble-free. The most vulnerable portion of the crown is the margin or the junction between tooth and crown. It’s possible that the material on the on the surface could chip or fracture. You can reduce the chances of this happening by avoiding chewing excessively hard substances like ice or bones. Regular check-ups will enable your dentist to detect any problems with your crown and recommend any treatment which you might need.